100% Cotton half sleeve and full sleeve T shirt for small Kids. 100% safe for kids .kids under 1 to 3 year can use it. Package contains: 1 White color T shirt. Print: “12 Months Of Being Awesome” text on T shirt. 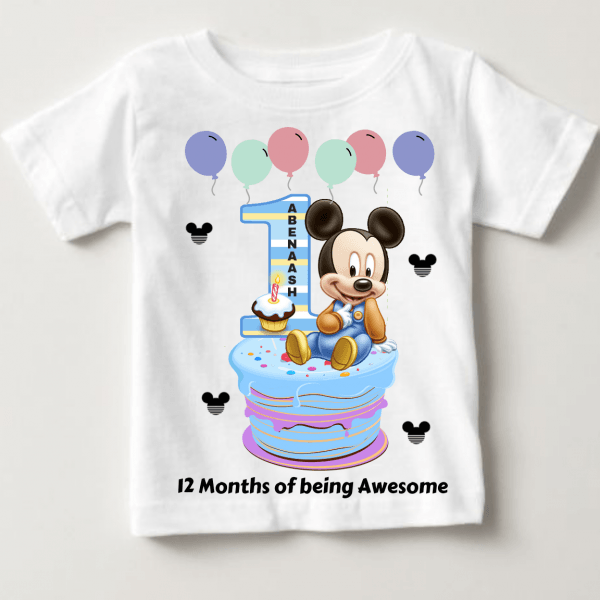 “12 months of being awesome” Text print on t-shirt.